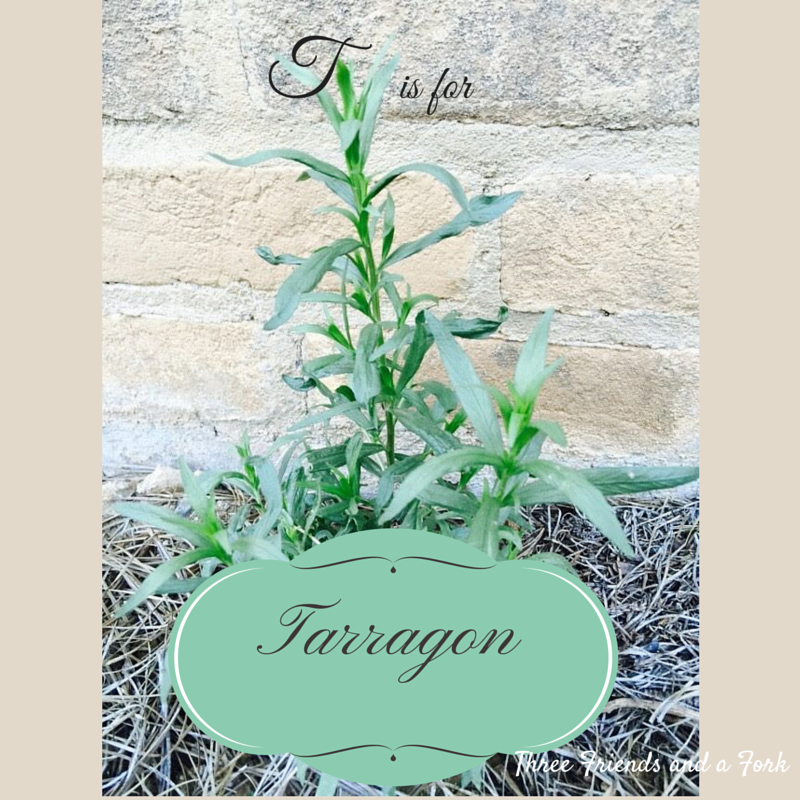 Tarragon is one of my most favorite herbs. I simply love the delicate, subtle anise flavor of this popular herb. I much prefer French tarragon to Mexican tarragon, which I grew one year when I could not find the French variety. This year, we had a bitter winter, for Alabama, but my tarragon managed to stay green all year. Even though it looks delicate, it really is pretty hardy. Tarragon is an essential flavor in béarnaise sauce, which I love to serve with beef tenderloin. I also like to make a tarragon flavored potato salad and the herb is delicious in potato soup. When I roast chicken, tarragon is one of the herbs I use to flavor my bird. It is wonderful when added to the filling for chicken pot pie. Tarragon flavored vinegar is another great way to add tarragon to your cooking. While tarragon might not be as familiar as some other herbs, like parsley and basil, it is definitely one that should be included in any herb garden. Make room for tarragon. You will be glad you did!